Discovery-driven planning is a multi-step planning approach designed for new ventures. It encourages planners to move away from the traditional process of just creating financial projections. One of the core idea of the discovery-driven planning methodology is to develop a set of detailed assumptions around the projections. They should also be quantified and tested against the plan. What it does is the following: Rather than just saying “These are the results we are expecting” you now have a platform for answering a critical question “What has to prove true for our plan/ forecast to work?”. You should rank the assumptions by importance and/ or the level of uncertainty. The process of developing this should be quite valuable itself and one should be in a position to identify critical problems or opportunities. Once the assumptions have been created and tested, they should be assessed on an on-going basis. 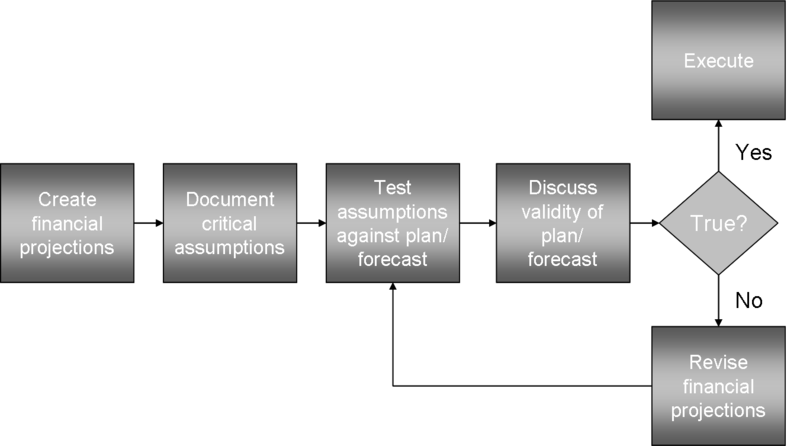 The development, testing and discussion of assumptions is now a critical part of the process. Let’s assume we are a sales manager. We have to develop a sales forecast for the next quarter. Following a best practices approach, we only look at our best customers in detail. We spend time developing the forecast – revenue numbers by customer, by product family, by month. Perfect. The numbers look great when we compare them against budget. And our boss is happy with the look of the forecast. The traditional approach. This looks great, doesn’t it? But are the numbers realistic? Now we can easily see that there is significant risk. And we now have to ability to act on this. The sales manager, for example, could sit down with product management to validate product release dates. Discovery-driven planning represents a very interesting and pragmatic approach. I highly recommend that you read more about this topic. The idea of incorporating assumptions and their test into our daily planning and forecasting exercises could be quite powerful. It’s not rocket-science. Some companies already do this. However, it is usually done at a high level (GDP growth above 2.5%). Managers at all levels can benefit from this idea. Despite its tremendous importance, forecasting remains one of most disliked processes in many companies. Part of the problem are the forecasting templates themselves. They are extremely complex and cumbersome. Today, I want to look at a simple technique that can improve the usability of the forecasting templates while also increasing the ability to gain insights from them. A few months ago, I provided another technique that involved the time-horizon. Let’s take a look! Graphic 2: The family forecast? Graphic 3: Initiative planning at home. A better approach. This forecasting template provides us with a mental framework that is easy to follow. The naked account list on the other hand does not provide us with any help. We simply think about amounts without being forced to ask ourselves more intricate questions like why, what, where, etc.. And this is what often makes the process so difficult, especially for non-financial people. The beautiful thing about using initiatives in forecasting templates is that it makes revisions a lot easier. Let’s say we want to cut our expenses by 5%. Using the traditional line item approach, this will become a difficult if not random exercise (how would you know in the first place?). Where do you start? Most of us would probably be tempted to reduce a few numbers here and there. The data is just too complex. Contrast that to the approach in the next screen shot. This is a lot easier to deal with. The initiatives provide context. All expenses that are not related to a project have been captured in the ‘Sustain Operations’ bucket. You can immediately sit down and review the different initiatives. Questions like: “Which initiatives are really critical?” come to mind. Ranking them provides additional context. Next you could drill down on each initiative and review the different expense types. Notice that the use of initiatives speeds up the process while also providing better insights. Take a look at your corporate budget. 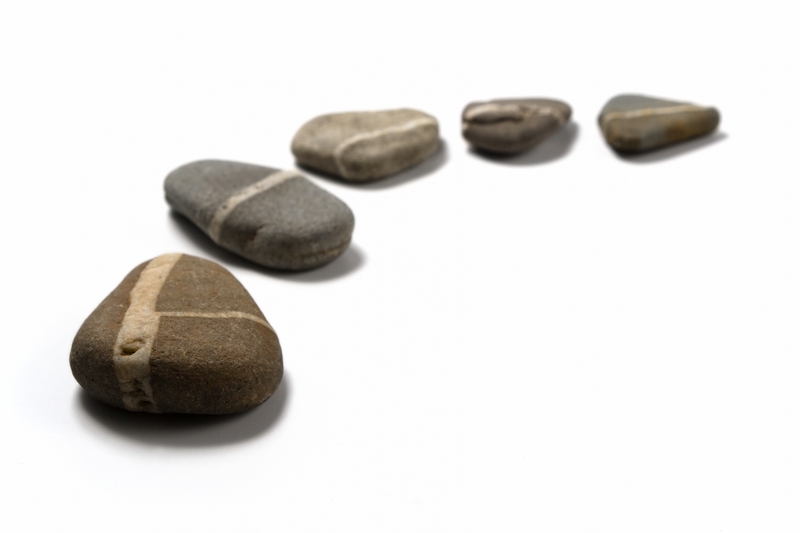 Where can you incorporate initiatives and projects in your forecasting templates? Granted this approach does not work in all situations but it is a relatively simple thing to do. But most cost centers can probably benefit from this approach. P.S. : The screenshots were created with Cognos Insight. Forecast accuracy is one of those measures many finance professionals think and talk about. Turbulent times require companies to produce reliable and solid forecasts. Accuracy is a useful measure that helps finance managers assess the quality of the process (to a certain degree!). 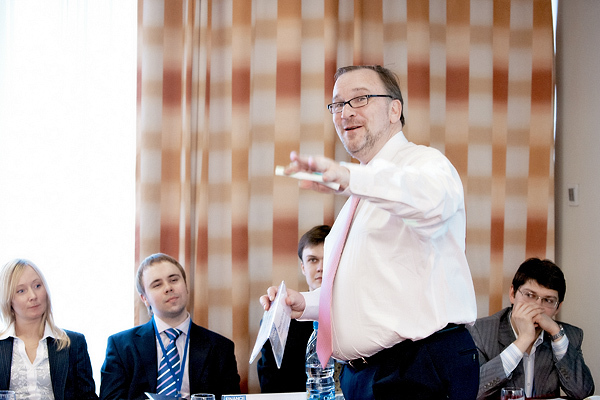 In late 2011, my good colleagues Mark, David and I conducted a survey amongst 160 UK finance professionals. One of the things we wanted to find out was whether accuracy is being measured at all. And guess what – we were pleasantly surprised to see that the majority of all companies do measure and also communicate accuracy. Only a few organizations face difficulties doing so (they utilize spreadsheets as their main tool). About a year ago, I posted a series of articles that focused on forecast accuracy. If you are interested in this topic, I would like to invite you to read and share those entries. There is a set of posts that cover the basics of this topic. You can find a bunch of examples in there as well. Experiences are also important. You can find out what some experts are saying about this topic. If you have any experiences with forecast measurement, please leave a comment. As solid as the above mentioned survey results look, experience shows that many finance professionals are looking for more information about this topic. Last week I argued that a detailed variance report is not very helpful before and during the forecasting and budgeting process. That post continues to be one of the most popular ones recently. But why not take the basic ideas a few steps forward and create a dedicated forecasting dashboard? A dashboard allows us to view the critical information that we need to get our job done (i.e. create the forecast or the budget) in a single place. Conducting forecast analysis with this dashboard becomes easy and is less time-consuming than analyzing hundreds of variances in a spreadsheet. 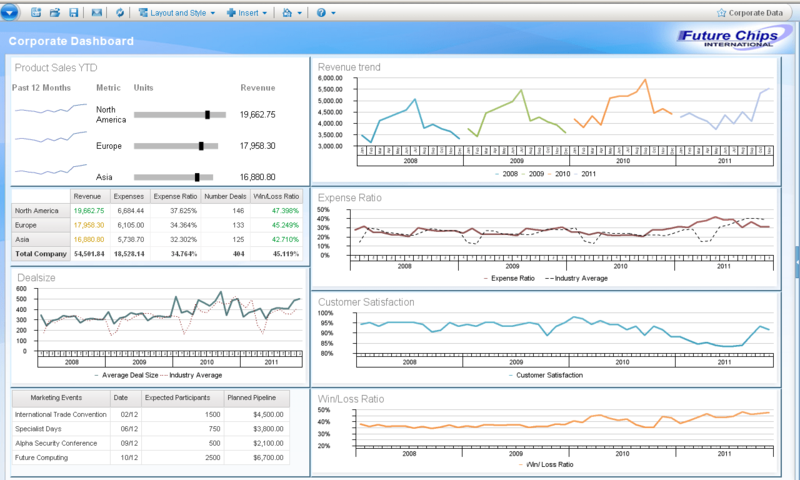 This forecasting dashboard is geared towards a revenue forecast. The widget in the upper left corner provides a quick overview of year-to-date product sales. You might notice the use of micro-charts: the sparklines display the sales trend for each region. The accompanying bullet charts show the current status against plan (YTD). The other widgets provide a balanced mix of historical data (revenue, deal-size, expense ratio) and leading indicators (Win/ Loss Ratio, Customer Satisfaction). But there is also other important forward-looking information. Take a look at the lower left corner: We can view upcoming marketing events along with the anticipated number of participants and the expected sales pipeline. 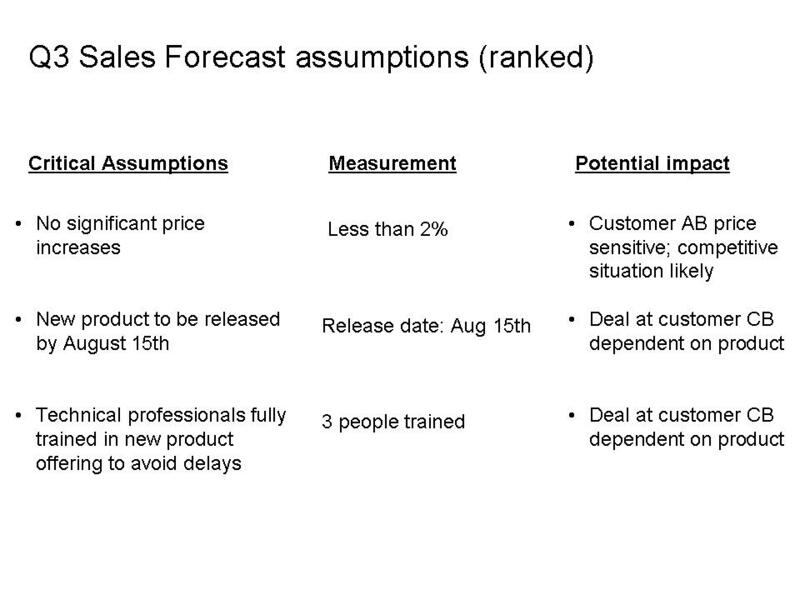 That is helpful for assessing future sales. This forecasting dashboard can help prepare for the actual forecasting process. It provides a better picture of the business than any detailed variance report can. And think about the time savings as well. The latter requires a lot of effort to be consumed. The dashboard on the other hand is efficient and effective. Last but not least, the dashboard can be utilized on a daily basis. So, that is a forecasting dashboard built with Cognos 10. I love the look and feel. It is simple, clean and easy to interact with. P.S. : The type of information to be included in such a dashboard obviously varies by company and industry. Rolling Forecasts are quite popular today. But to implement them properly it is usually imperative to reduce the detail in the forecasting models. Less detail speeds up the process and helps to increase the accuracy. A recent post on this blog looked at some of the problems with too much detail. The big question though is to where and how to cut detail. While people tend to look at the chart of accounts first, many organizations actually have great success with making a few modifications to their timescale. Take a look at the photo below. It symbolizes one of the key issues with forecasting: the further out we look the more diffuse our view gets. While we might have a good idea of what is going to happen next month, it is usually more difficult to do the same for the months after. That’s just the way it is. Notice how much detail is being generated. And detail requires effort. As a business person, I will have to sit down and try to provide an amazing amount of detail. This could take a while. The basic assumption of this template is that business people are able to precisely quantify when something is going to happen no matter if it’s tomorrow or next year. That is dangerous and it’s simply not possible. Here is an example: I might know that a certain customer will purchase my product next month. But I will most likely not be able to precisely identify the same thing for next year. The forecast will therefore most likely be wrong from a timing perspective. Why the detail then? The new version reduces the detail by almost 50%. And this approach pays tribute to the fact that the further out we look the more diffuse our view of the future becomes. Overall, we could argue that this template will produce more accurate forecasts while also making it easier for the business. This is a lot easier to work with! My client implemented a similar timescale with excellent results. Take a look at your current models. Is there an opportunity to alter the timescale? How much detail could you get rid of? If you want to embark on implementing a Rolling Forecast, you should most definitely look at this approach. Please let me know your thoughts and experiences. Have you ever been to a giant buffet? Try to remember what it was like. We usually get excited when we see the various options and we ‘cruise the aisles’ to identify what we want. If you are like me, you have a hard time deciding and you end up wandering around taking a little bit of everything but nothing of anything. By the time you leave, you feel bloated and promise yourself to go easy next time. Chances are you won’t even remember what you ate.